SINGAPORE (ICIS)--China’s imports of mixed aromatics may wane due to high costs and amid calls for a nationwide use of ethanol gasoline. Import costs are expected to stay high this year, largely in line with gains in international crude prices. A number of importers are keen to source cargoes this year from nearby countries like Thailand and keep their purchases in small batches, in a bid to reduce price risks. Chinese buyers favour Thailand-origin mixed aromatics with a high benzene content due to their low price. Thailand accounted for around 10% of China’s mixed aromatics imports in January-November 2017, according to China Customs data. Southeast Asia is a major source of mixed aromatics imports for China. For the most of 2017, importers’ margins for the material had been thin and at times flipped to the negative. Inventories were high due to poor sales in the fourth quarter. Concerns over a possible imposition of a consumption tax on imports had deterred purchases and consequently weighed on the traded prices of mixed aromatics last year. Industry sources said that the tax may be imposed to curtail China’s heavy imports of mixed aromatics. Mixed aromatics are considered a major blendstock for gasoline in China, demand for which depends on the country’s gasoline export quotas, which are being set on a quarterly basis. China’s supply glut of oil products may worsen if the gasoline export quotas were maintained at 2017 levels since new refining units came on stream in the second half of last year. 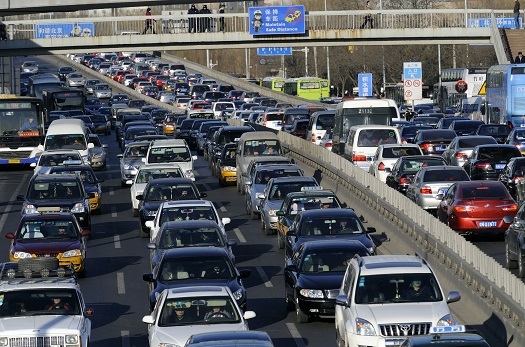 Meanwhile, demand for mixed aromatics may take a hit as China moves toward using more environmentally friendly fuels. China is targeting a nationwide use of ethanol gasoline by 2020, with the Shandong province, as well as the cities of Beijing and Tianjin, expected to stop supplying conventional gasoline in the first quarter of 2018. China will require a 10% ethanol component for gasoline, thus squeezing the ratios of other components like mixed aromatics. An expected shift to the national standard (GB) VI gasoline this year will likewise dampen demand for mixed aromatics. Mixed aromatics, especially those with high content of benzene, will have to make up a less than the usual 35% of GB VI gasoline. China has also started producing reformulated gasoline – another gasoline blender, whose technical characteristics are almost the same as premium mixed aromatics originating in Europe. Some refiners have turned to using reformulated gasoline to replace imported mixed aromatics in gasoline blending. This is more apparent in Shandong, where some independent refiners have brought on stream a number of reformed units after getting approval to refine imported crude. In 2017, the share of Shandong’s independent refiners to China’s total mixed aromatics imports has declined to 5% from 10% in the previous year, according to ICIS data.